On Tuesday, March 19, the federal government announced a new incentive for first-time homebuyers. Often when these things are announced they are delivered in a way that is hard for people to consume, so we thought we’d help. Read on for the answers to your top 6 questions on this new plan. This plan helps first time home buyers get financing, as the government or Canada Mortgage and Housing Corp (CMHC) will loan you up to 10 percent of the total purchase price of your first home. For example, if you wanted to buy a home for $200,000, under this program you would only have a mortgage of $180,000. 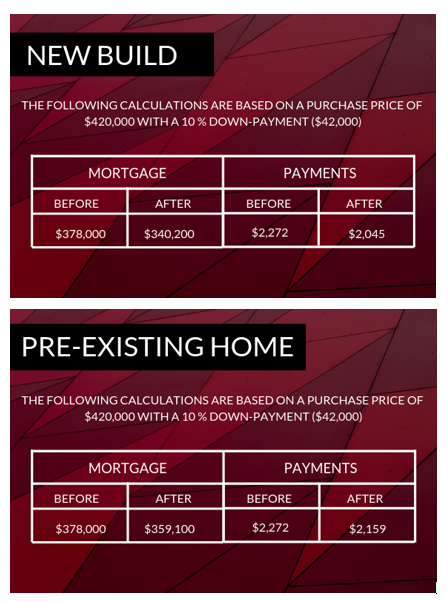 You are responsible for paying this value back when your home sells. At this time there is no information about other repayment options. This helps first time home buyers, by enabling them to take out smaller mortgages and therefore keep their monthly payments lower. WHEN IS THIS PROGRAM BEING IMPLEMENTED? It is anticipated that this program will be implemented in the fall of this year. We’ll work to keep you in the know on any updates.